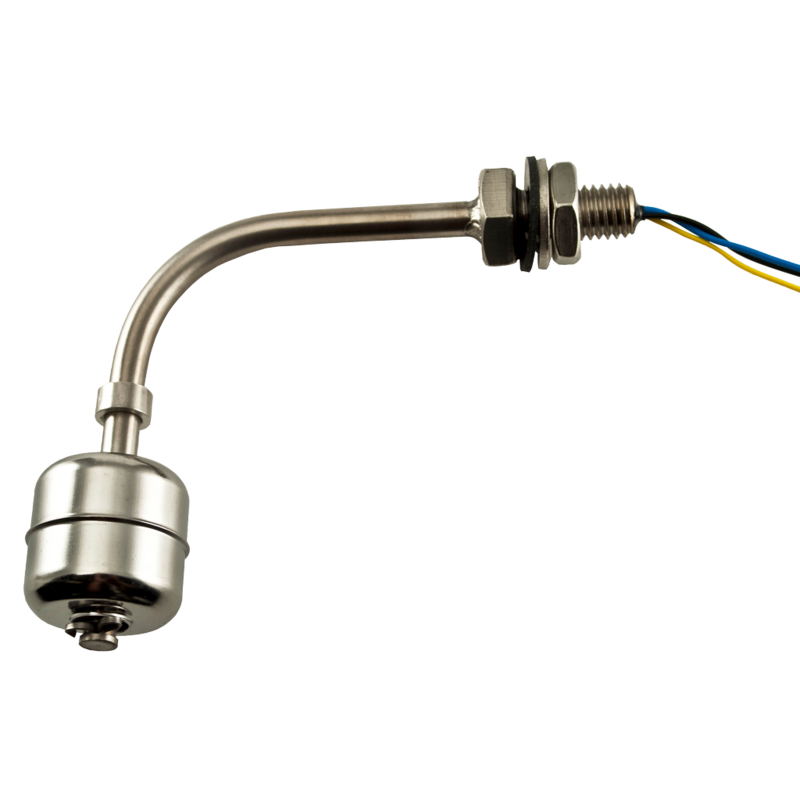 The 80 Series Stainless Steel Horizontal Float Switch is a Liquid Level Sensor manufactured in 316L Stainless Steel, making it ideally suited to high temperature or pressure operation. It is also suitable for harsh environments and chemically aggressive liquids. It can be changed from Normally Open to Normally Closed operation to allow for sensing of high or low conditions by rotating the orientation of the body through 180°. 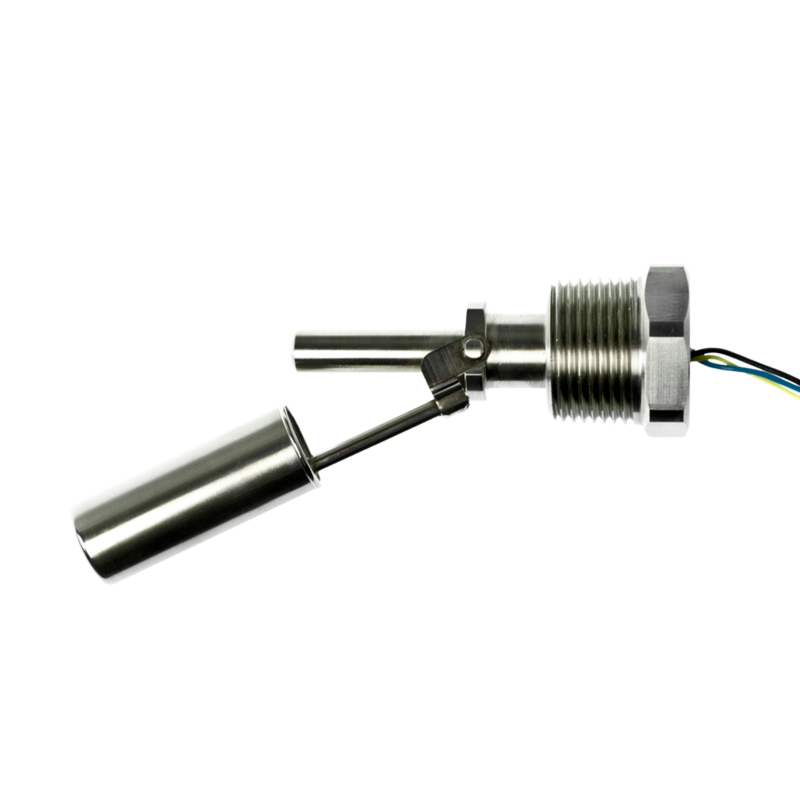 It is available in two versions dependent on temperature requirements: our Standard version rated to 120°C, and our High Temperature version rated to 200°C. We also offer an intrinsically safe version of this sensor – the HFS-FP. Ideal for use in Beverage, Automotive, Pharmaceutical, Petroleum and Chemical Industries. Switch contact rating (pure resistive load). For other loads ie. capacitive, inductive or incandescent lamps please contact Deeter for advice. 50 Watts max. Form A SPST Contacts 250vAC max. switching voltage 1.0 Amps max. switching current. 10 Watts max. 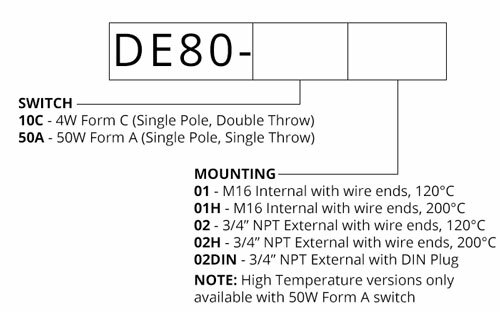 Form C SPDT Contacts 60v DC max. switching voltage 200v DC breakdown voltage 1A max switching.